The entrance to the Hall is on the A61 Ripon to Harrogate road – approximately three miles south of Ripon and half a mile before the Bishop Monkton and Monkton Moor crossroads. As with anything – it is easy to find when you know where to look for it! 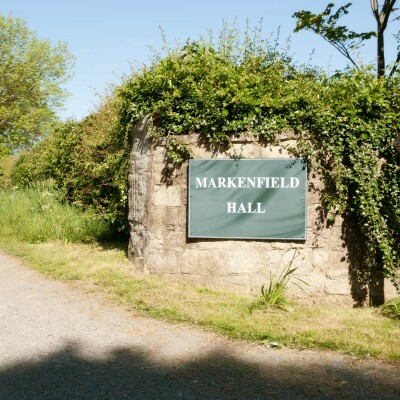 The entrance is to the west of the A61, between two low stone walls that each bear a green Markenfield Hall sign. One thing to remember is that Markenfield is very much C12th – and therefore we don’t always show up on Sat-Navs. If the voice from your dashboard tries to take you into Ripon or into Markington (note the spelling difference – it’s a whole different Hall!) please ignore it. The only entrance is off the A61.